Man Beaten To Death By Group Of People For Stealing Cow !! HORRIFIC !! 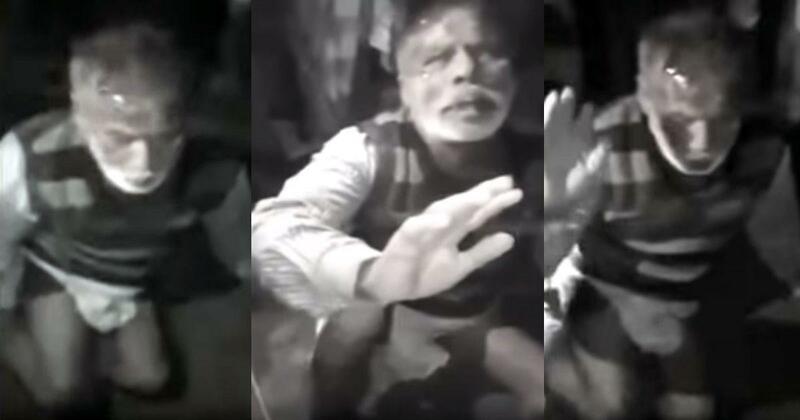 55-year-old man who looks like our honourable prime minister in the released pictures was beaten to death by an irate mob of around 300 people over suspicion of cattle theft in Bihar’s Araria district. The entire incident, which has been captured in a video, shows the man, identified as Mohammad Kabul, pleading with the mob to spare him. The mob mercilessly kicked him in the face, bashed him with sticks and kept calling him a ‘chor’ or thief. Surprisingly, the videos doing rounds on social media have been clicked by the attackers on their mobile devices. Sources said that the incident, which took place in the Simarbani village under the jurisdiction of the Sikri police station in Araria, was triggered when Kabul reached a local’s house along with three companions to allegedly steal cattle. The mob, led by a man identified as Mohammed Muslim, attacked Kabul and even removed his pants during the assault. Mohammed Muslim can be seen laughing and encouraging the mob even as Kabul tried to defend him from the onslaught. The mob did not stop the assault till Kabul breathed his last. No arrest has yet been made in connection with the matter which occurred on December 29. In fact, police got to know about the incident of mob violence two days later after the video went viral. Kabul, who was a former village head, could be heard saying that he did not steal any cattle but in vain. Mohammed Muslim had earlier filed a complaint of cattle theft against Kabul earlier. As soon as the video got leaked it goes viral in the Internet as the victim looks similar to our PM Modi. During preliminary investigation, it was revealed that Kabul had 13 cases registered against him in Sikati police station. Police officers are now trying to identify the people involved in the incident and take stern steps against them. Previous articleThis Private School From Salem Asking The RTE Scholarship Fees Back To The Parents !! Check Out Why !! Next articleAfter 8 Long Years, Sasikumar To Direct A Movie By Casting This Actor !! EXCLUSIVE ! !